Having just completed my last post on David Thomas’s brief encounter with Moses K. Hyams, I’ve more to share including the wonderful life story of Moses’ aunt Kitty. Remember that in the 1820’s, Moses purchased a small 12 acre tract in Anson NC adjoining the lands of both David Thomas and his wife’s uncle William Barnes. Moses didn’t remain in Anson very long as by 1830 he was living with his family who had moved from Charleston SC to Louisiana. I’ve learned that William Barnes removed to Arkansas as a result of legal concern related to gold. Family lore from Arkansas leads us to believe William fled in the middle of the night. It’s known the road from gold rich Cabarrus to Charleston SC passed the lands of David Thomas. It’s also known that gold was found near David’s home in Anson County. Speculation and the flow of money during this time led to dishonest land deals. The US Geological Survey of the day reported that folks were falsely claiming gold discovery in order to sell their land at jacked up prices. Why did Moses come to Anson County? Was he drawn in by gold? Was he involved in a fraudulent land deal involving his neighbor William Barnes? Is that why William Barnes quickly left North Carolina for Arkansas? Did he sell land to Moses Hyams before leaving the state? Moses’s aunt Catherine “Kitty” Hyams was schooled in Ireland before being adopted by Lord Hyde of England. Taking the name Hyde, she moved to Paris where she served as Maid of Honor in the royal house. Kitty was there in the darkest of times. 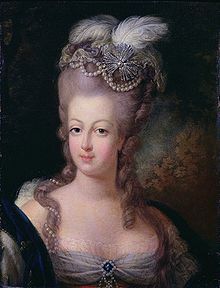 She performed many secret missions for Marie Antionette and Princess De Lamballe. During a visit to family in America, Kitty (Catherine Hyde Marquise de Govion Broglio Solari) told of writing two books. 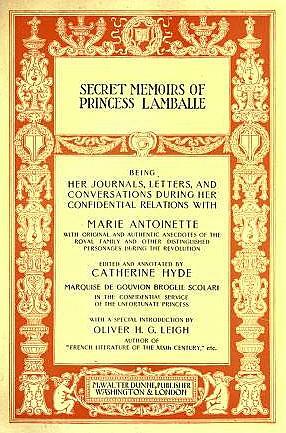 Her first was titled “Venice under the Yoke of France and Austria.” From a perspective like none other, her second book titled “The Secret Memories of Princess Lamballe,” documented the final days of Marie Antionette. This entry was posted in Benjamin Thomas of Anson NC, Thomas, Uncategorized on January 11, 2015 by geothos.